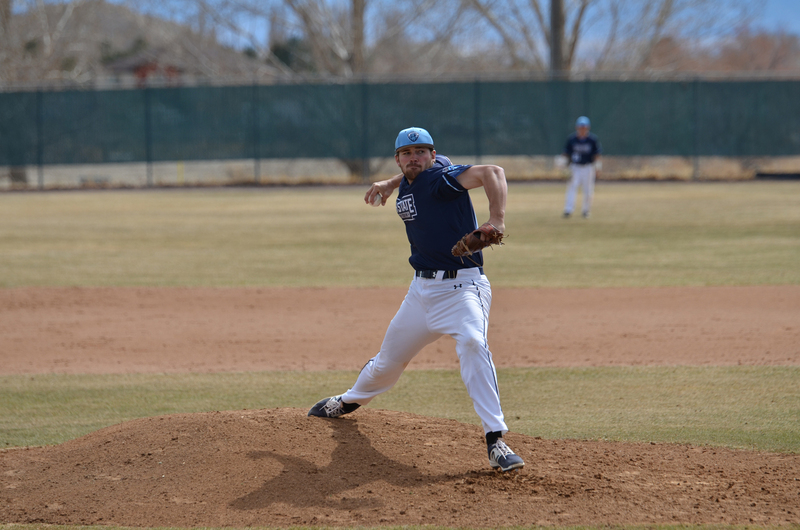 Following a season in which an experienced USUE baseball team, led by sophomores Jesse Rowley, Jarrod Lessar, Cole Fossat, Jarret Hunt, Lionel Colon and Chase Stratton (all of whom graduated on to four year baseball programs) competed well in a talented SWAC conference. The Eagles will look to build upon last year’s success. Last year’s SWAC included three teams (CSI, CSN and SLCC) that were ranked in the nation’s top 25 NJCAA baseball programs at some point in the season, including the third place team in the nation, the College of Southern Idaho. USUE was able to defeat each of these teams throughout last season, showing they are a serious program. In an always competitive conference the Eagles will need big wins to replace losses from last year’s team. That being said, there is a sense of confidence among the team in what they have. Especially in the leadership that comes from this year’s sophomore group. “I really am excited about this year’s team. We have a lot of young guys that are eager for competition. In addition to the young talent, we have a great group of returning players that are ready to lead.” Sophomore pitcher Zach Fitz says. Fitz had one of the best strikeout rates on the team last year, and will likely be towards the top this season. Coach Scott Madsen will turn to seven sophomores, and eight players who have transferred from other colleges to bring experience to the 2019 baseball club. The sophomores include pitchers Carlos Medina, Zach Fitz, and Jake Smith. Two-way guys Hunter Porritt and Connor Udy, as well as outfielders TJ Bender and Ryan Curtis. Between Fitz, Medina, and Smith there was 94 innings pitched last year, bringing experience to an otherwise inexperienced pitching staff. However, the Eagles’ lineup is replete with returners as Bender, Udy, Curtis, and Porritt all played in over half the games in last seasons. Dylan Rodriguez (Arizona Western), Karter Pope (Taft College), Parker Buys (CNCC), Wyatt Barrus (SLCC), Shay Landers (CSN), Hunter Lasko (CSN), Briggs Newman (Saddleback College), and Justin Flinders (CSI) provide a wealth of transfer-players at Eastern’s disposal. These players’ experience in college baseball will almost certainly help ease the burden of lack of sophomores on the team. The Eagles are still guided by head coach Scott Madsen and assistant coach Kirk Haney, however this year there is a new addition to the coaching staff. Cory McKendrick joins the staff this year to help work with position players and hitters. Mckendrick joins Haney and Madsen as coaches who started their college baseball careers as players for Eastern. “Having the chance to return and coach here has been a great experience. As a player you have a two year window to leave a legacy…to be able to coach and be given additional years to affect the culture and legacy of the program is something I’ve loved and been grateful for”, says Mckendrick. For the players, having a coaching staff that knows what it feels like to be a player in Price, is something that can really help. There are high hopes and big expectations for this year’s baseball team, but a good group of sophomores, transfer class and a great coaching staff, have the Eagles poised to once again make a run at the SWAC title.